‘New Zealand Spinach is a very old heirloom introduced into England in 1772 by Sir Joseph Banks. It was reportedly discovered during the South Seas expedition of Captain Cook. The crew ate it to combat survey on their voyage. It is not related to true spinach but the leaves taste similar to, and some think better than, spinach. ‘New Zealand Spinach’ can be grown as a perennial in warmer climates but is typically grown as an annual. It does not bolt in hot weather nor does it typically turn bitter like typical spinach varieties. So it stays productive throughout the summer. It is highly valued because of its high vitamin A & C content. New Zealand spinach can be used like common spinach in a variety of applications; raw, sauteed, steamed, or braised. Experiment to discover which way you like it best. At our house, we use this in any recipe that calls for spinach that will be cooked. Cook the bacon crispy. Reserve 2 tablespoons of bacon grease. Crumble the bacon and set aside. Cook the spinach, onions, parsley and seasonings in the reserved bacon grease for 4-5 min over medium heat, just until the spinach is wilted. Add vinegar & bacon, Toss & serve. Combine all ingredients in medium bowl. Chill, for at least 1 hour to allow the dried vegetables in the soup mix to re hydrate. Serve with your favorite dippers like: carrots, celery, tortilla chips, red pepper slices, etc. Sautéed: In wok heat olive oil and add chopped garlic or shallots and sauté until the garlic begins to turn golden. Add spinach, a dash of chilli powder, sea salt and pepper and cook for few minutes until the spinach is wilted. For a change serve with a spritz of Balsamic vinegar and a few pine nuts. Steamed: Put cleaned spinach in a steamer over boiling water and stream until it wilts but not until its completely mushy. 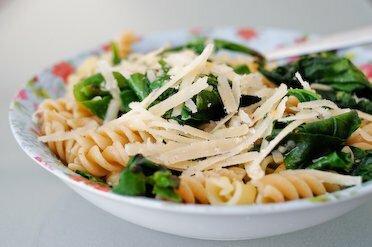 Toss steamed spinach with olive oil, freshly squeezed lemon juice and a little crushed garlic, then sprinkle with shaved parmesan and serve immediately. Baked: Preheat oven to 175°C and grease a baking dish. Clean spinach, remove excess water and chop. Arrange spinach and flour in layers, nestle beaten eggs about midway between the layers. Combine grated cheese, bread crumbs and fresh chopped parsley. Sprinkle over top of spinach. Mix olive oil, milk, sea salt and pepper. Pour over all ingredients and bake in oven for 50 minutes to 1 hour. Bring salted water to a boil in a medium saucepan. Add the pasta and cook according to package directions until al dente. While the pasta is cooking, heat a medium skillet over medium heat. Add a good swirl of olive oil, and when hot, add the chili pepper and garlic, and cook for a minute or two without coloring. Add the anchovies and crush them with a wooden spoon so they’ll dissolve in the olive oil. Add the New Zealand spinach to the skillet, sprinkle it with a touch of nutmeg, stir, and let it soften just a little (not too much!) in the heat. Remove from the heat. When the pasta is al dente, drain (not too thoroughly; keeping a little of the starchy cooking water makes it silkier) and pour into the skillet. Toss to combine over low heat, sprinkle with pepper and divide between two warmed pasta bowls. Top with grated cheese and serve immediately. Halved red and yellow cherry tomatoes tossed in balsamic vinegar and olive oil. Bring a large pot of salted water to a boil. Cook the pasta according to the package directions until al dente. Drain. While the pasta cooks, heat the cream in a large, heavy skillet over medium heat. Bring to a boil, reduce heat, and simmer until reduced by half, stirring often. Stir in the chicken stock, nutmeg, chicken, and greens. Heat until ingredients are warmed through. Mix in the pasta. Season to taste with salt and pepper. Add more broth if the mixture seems too thick. Pour the pasta into a serving bowl and sprinkle with the hazelnuts. If desired, serve with the tomato salad sprinkled on top of the pasta to balance the richness of the sauce.